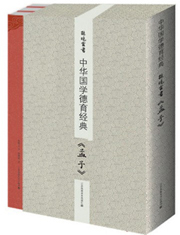 The publication of highly respected calligrapher Sun Xiaoyun's rewriting of The Four Classics (The Great Learning, The Doctrine of the Mean, The Analects of Confucius, and The Mencius) offers readers a window into the classical world of some of China's greatest works. The books are classically bound, making them as much a joy to hold as they are to read. Sun captures the essence of these great works and the significance of calligraphy within the tradition of Chinese thought and scholarship.